After the rather surreal experience of designing and ordering swag, the first wave has arrived, which means: IT’S TIME FOR A GIVEAWAY!!! 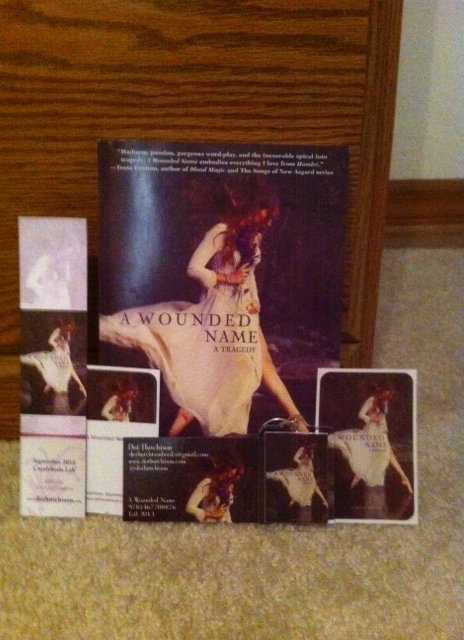 One lucky person will receive a SIGNED ARC of A Wounded Name, personlized if you’d like, and a pack of signed swag, including stickers, bookmarks, and a bookplate. The other packs are going to be signed swag, but the more people participate, the more swag packs there will be. Want a peek at the prize? Any and all of these that you do just let me know in the comments, and if you already do them, again, just let me know. You can get a total of SEVEN entries, and like I said, the more people who enter, the more prizes there are going to be. If we hit over 100 entries, I’ll also add a Barnes and Noble gift card with the ARC. And make sure you leave an email so I can contact you if you win! The ARC has to be US only (sorry) BUT the swag packs are open to international entries! I’ll pick a winner at the end of the month. This was going to be the weekend I got back into the full swing of things, but then life happened in a pretty amazing way. After a weekend spent crashing around Orlando with very good friends I haven’t seen in far too long, I came home to our rescheduled Thanksgiving, with lots of food, laughter, and card banter. Cards are a blood sport, at least in my family, and the banter that flows through the games is truly inspiring. So, to make up for another lost week, I’m hosting a giveaway! There are two prize packs up for offer. Prize pack one includes the paperback of Maureen Johnson’s The Name of the Star, a hysterical, utterly creeptastic in the best possible way book that pits Rory, an American student currently enrolled in a London school, with a mysterious murderer re-enacting the murders of Jack the Ripper- with no one seeing him. Prize pack two has the paperback of Laini Taylor’s amazing and grogeous The Daughter of Smoke and Bone, with the enigmatic Karou, the mysterious Brimstones, and an ancient war that could destroy entire worlds, in one of the most beautiful expressions of language I’ve ever read. BOTH PACKS include a $25 Barnes and Noble gift card. And there are lots of ways to get entries. For example, although it’s really hard to choose, I’d have to say my favorite of the year so far has been John Green’s The Fault in Our Stars. 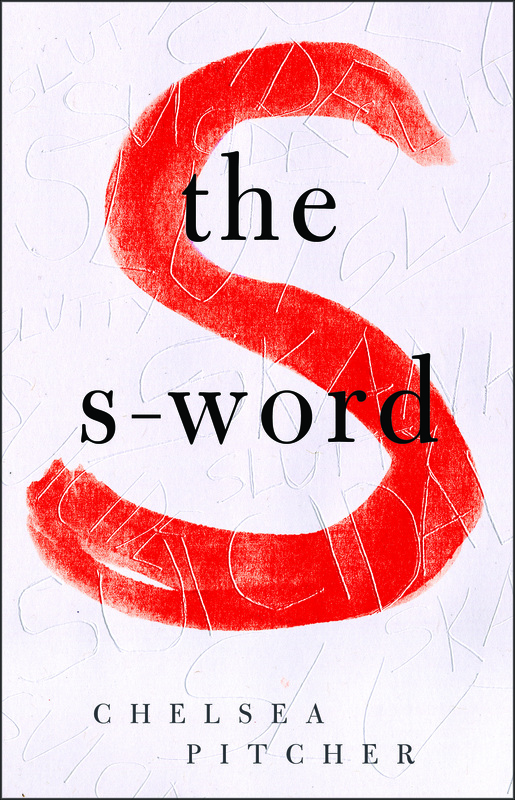 That book was beautiful and shattering and uplifting and devestating, and probably the only book that’s ever made me laugh and sob simultaneously. It’s an astounding work of art, something so much more than the sum of its parts, and has become one of my favorite books to handsell at work because it’s one of the very few books that I genuinely believe EVERYONE needs to read. But there are extra ways to enter! For +1, follow this blog, and in your comment, tell me that you’ve done so. If you already follow, tell me that too. For +1, follow me on twitter at @dothutchison, and in your comment tell me your twitter handle. Again, if you already follow me, just tell me. For +1, add A Wounded Name on Goodreads, and tell me in your comment. Again, if you’ve already added it, just let me know. For +1, like my Facebook page, link on the sidebar, and tell me that you’ve done so. If you already like me (they like me, they really like me!…okay, done now) just tell me so. And for +1 for each medium, you can tweet about it, blog about it, mention it on facebook or what have you, and just include the links in your comment. I’d like to stress that the only thing you HAVE to do to be entered is to comment with your favorite book of the year and why you love it. Please make sure you leave the correct email address so I can contact you if you win. All the other ways to enter are purely optional, and additional- it’s your choice whether or not to do them. If you DO choose to get the extra entries, please make sure you tell me what you’ve done- I’m not going to troll through the deep stretches of the internet to see what people have done. I’m going to trust y’all on this, so please just include the links and handles. And it is US only, I’m sorry. International gets very pricey, so I’m going to save that kind of shipping for when I have ARCs of A Wounded Name to give you. Just a few months til ARCs! So, enter in the comments below, entries accepted through Saturday, 15 December, and best of luck to you all!